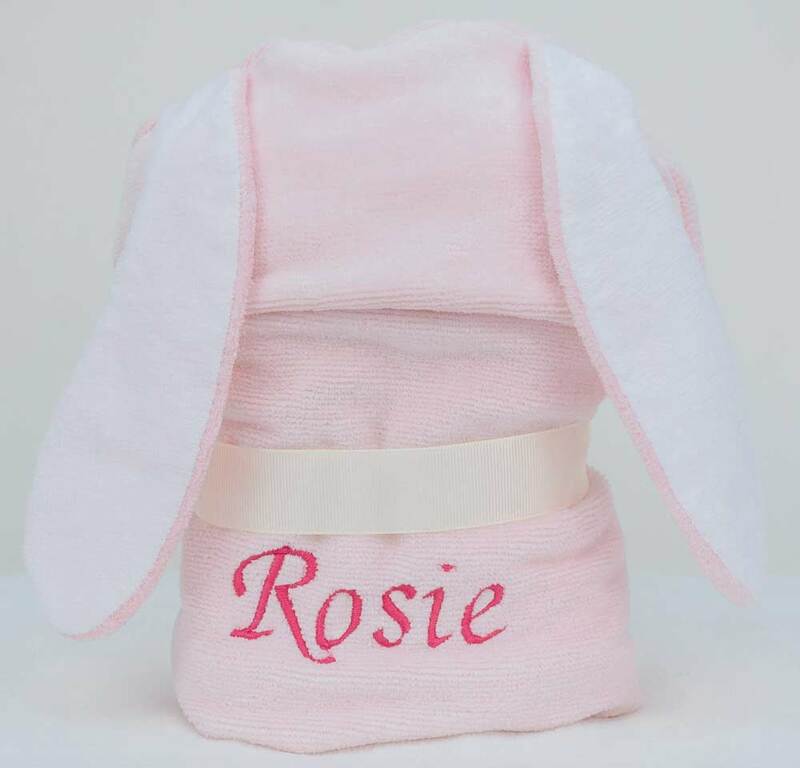 This Bonny Bunny baby towel is made using the softest and most absorbent 100% velour cotton terry towelling which stays plush, wash after wash.
For a really special touch, try personalising your new Bonny Bunny baby gift towel with your choice of name beautifully embroidered on the back. 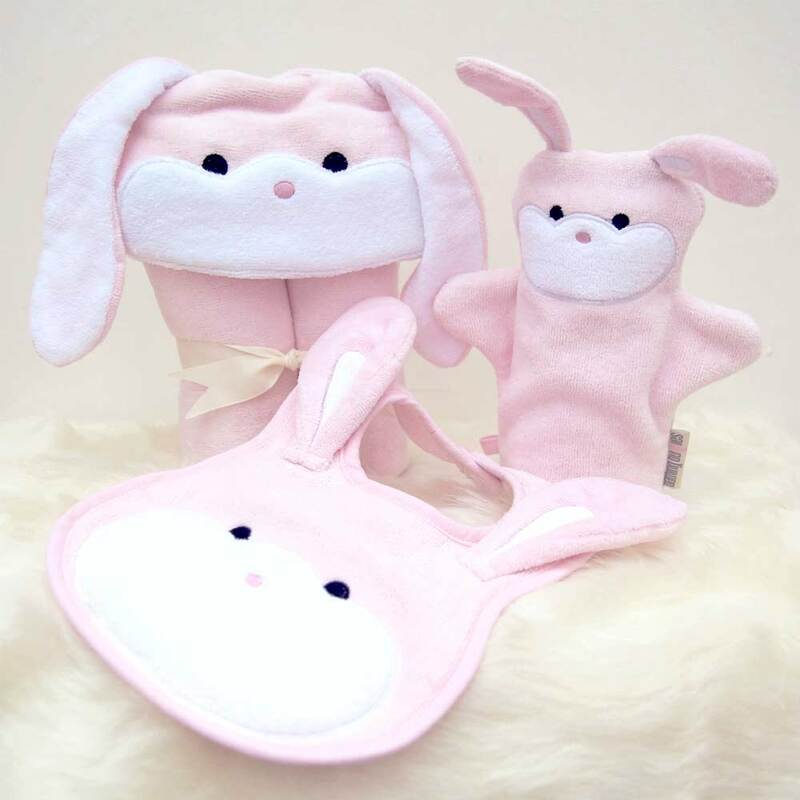 If you select the gift-wrap option, we will present your Bonny Bunny baby towel in a Bathing Bunnies gift box lined with tissue paper to make a very special baby present. 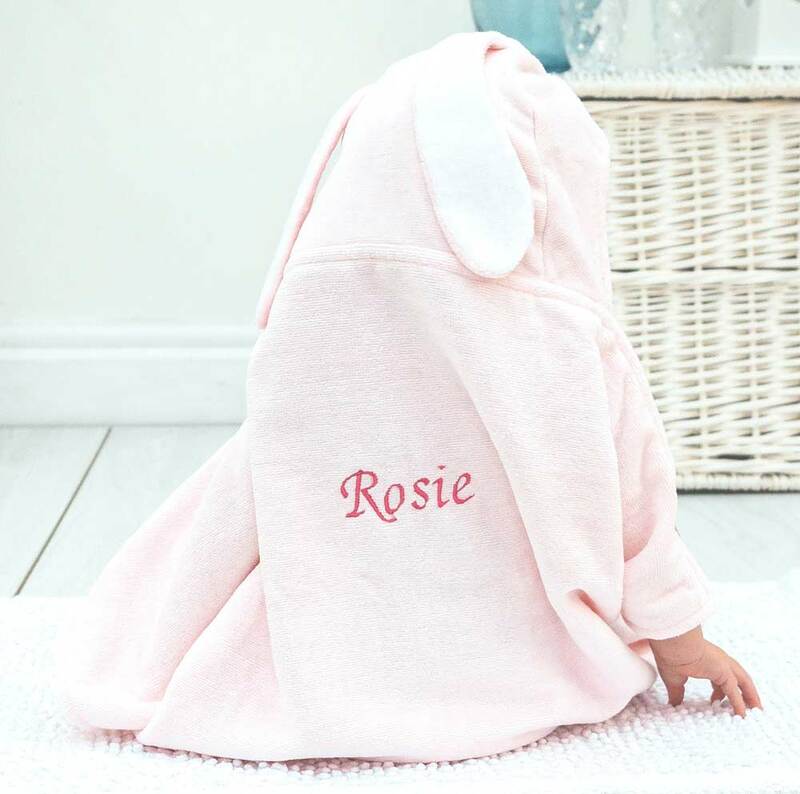 Bonny Bunny is one of our original hooded baby towel designs featuring a super-cute, pink, floppy-eared bunny rabbit, cleverly folded and beautifully presented with a cream ribbon to create a freestanding soft 'toy'. 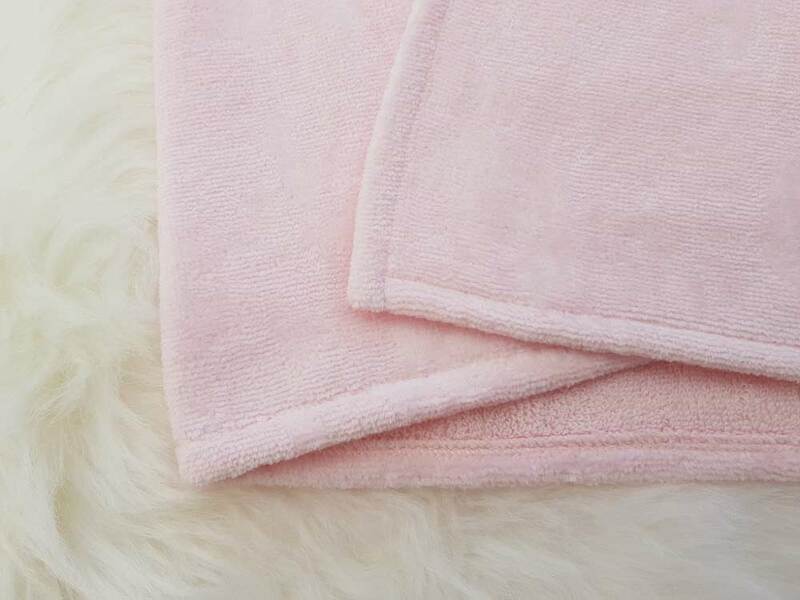 Our luxurious soft hooded baby towels are the ultimate in bath time chic and make the perfect personalised baby gifts - for baby shower presents or new baby gifts for christenings, birthdays and Christmas. 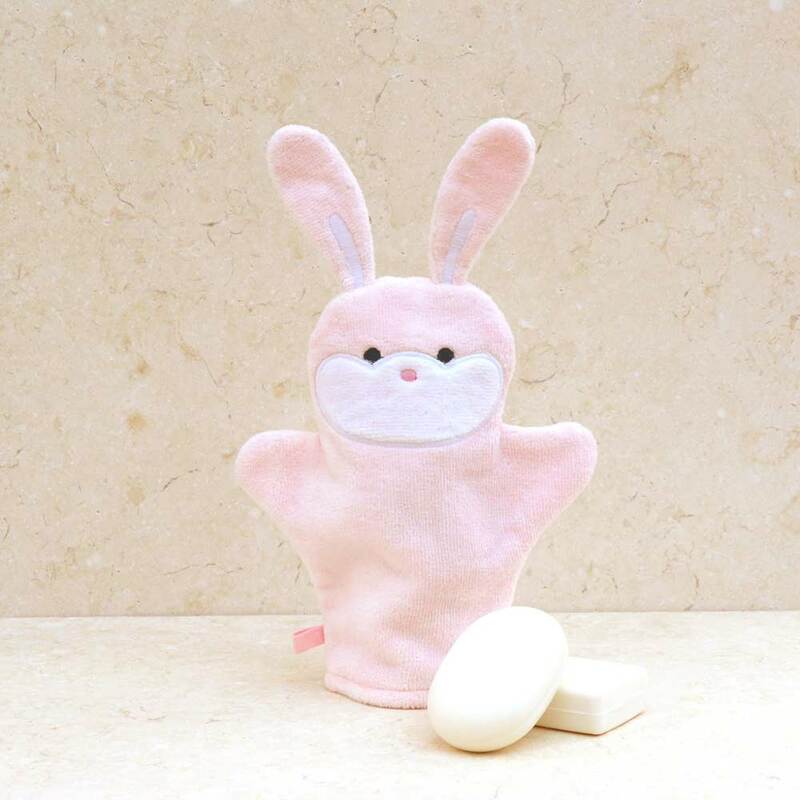 Arrived in a gift box and wrapped in tissue paper all folded in the shape of a rabbit. Absolutely delightful. 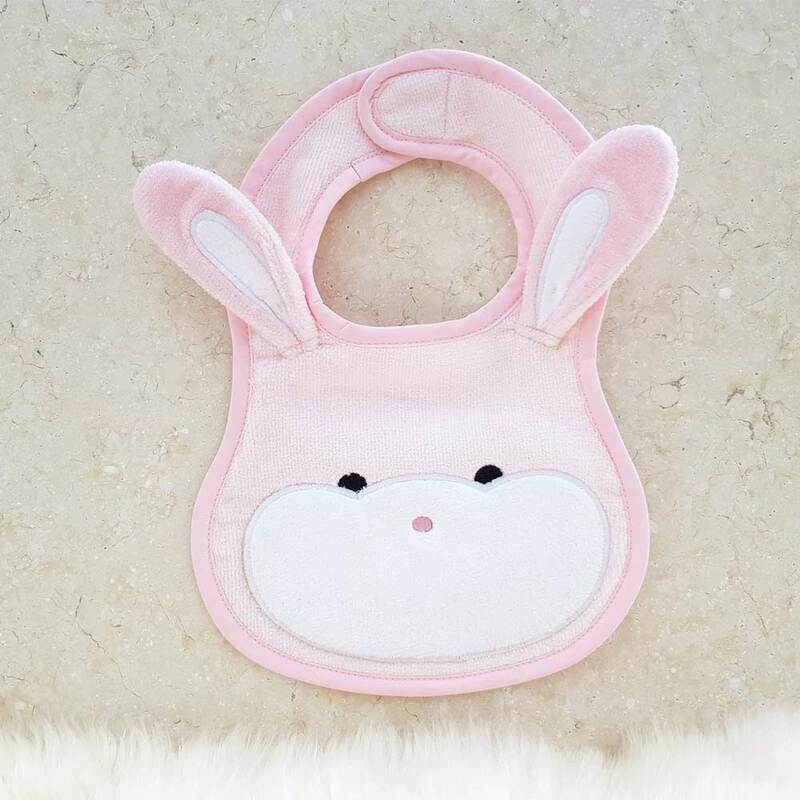 Molto bello e morbido.Confezione molto carina, ottima per regalo. Shame it could not have been included with the set. Somewhat pricey as a separate item.